Heathcare | Areas of Practice | Brick Gentry, P.C. Brick Gentry P.C. 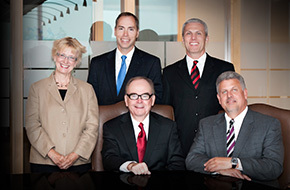 is a well-recognized provider of healthcare legal representation throughout the state of Iowa. Brick Gentry attorneys work with healthcare clients including physicians and physician groups, clinics, residential care facilities, home care providers, senior care facilities, medical societies, and other healthcare alliances or associations. We pride ourselves on our ability to work with the medical community. Brick Gentry has represented its healthcare clients in these transactional situations with hospitals, care systems and insurance companies. It has also routinely represented clients before healthcare agencies and boards, including IBM, health and human service entities, as well as before the courts of the State of Iowa. Brick Gentry also has begun sharing its healthcare law experience, knowledge, and insight through its blog, IowaHealthcare Law. Please check it out. 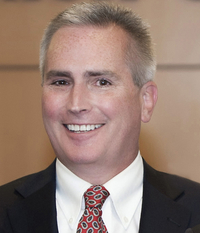 If you are interested in learning more about our healthcare law experience and insight, please contact Paul A. Drey, 515.274.1450, Brick Gentry P.C., 6701 Westown Parkway, Suite 100,West Des Moines IA 50266.